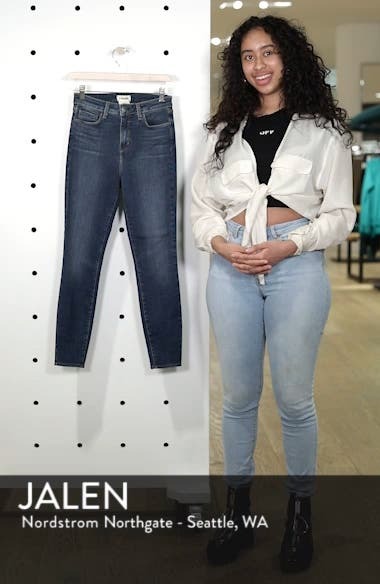 Ankle-grazing skinny jeans feature all the classic details from five pockets to a high-waisted silhouette that flaunts your curves from every angle. Choose a sizeHigh rise. True to size. 23=000, 24=00, 25=0, 26=2, 27=4, 28=6, 29=8, 30=10, 31=10-12, 32=12, 33=14, 34=16.